From power breakfasts and weekend brunch to social snacks, our menu represents the eclectic culinary tastes and different cultures found in London today, dishes combine stories of travel, trade and culture through exotic ingredients and flavours. Grab a take away breakfast and freshly brewed coffee - or escape the city, sit down and relax. Our breakfast and brunch favourites include Rake’s Benedict with Avocado Hollandaise and Walnut Waffle served with berry compote and Lemon Crème Fraiche. Brunch also includes bottomless spritzes and is available to enjoy on the weekends from 10AM to 4PM. Throughout the day enjoy a selection of smaller plates to share, with larger options available also. Dishes include Corn fed chicken & chorizo croquettes and our signature Sriracha sesame cauliflower wings with cashew sauce. Escape the city with your favourite tipple or chose from our selection of spritzers on tap, with a non-alcoholic option for those healthy days. 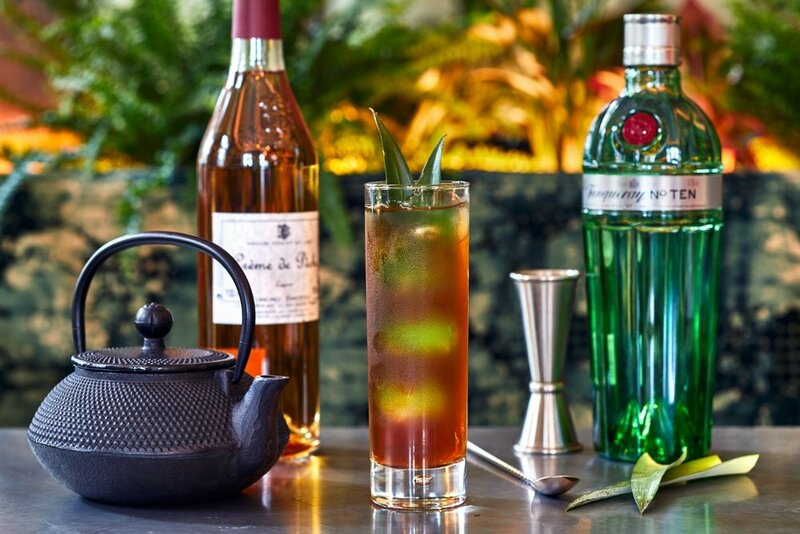 The showstoppers: 8 signature cocktails taking their inspiration from ‘The Rake’s Progress’ – a fictional story of the rise and fall of the original rake, Tom Rakewell. And much like the modern day Rake, these cocktails are crafted with one or two fine ingredients and expertly mixed… with a twist!